John Hinterberger is retired now, but he was the restaurant critic and columnist for The Seattle Times for 25 years. He wrote about his favorite Clam Spaghetti that uses canned clams. I clipped it from the paper years ago, but lost it. Searching online, I found it and was glad to have it again. I have posted my version of Mario Batali’s Linguine con Vongole. Made with fresh clams and lots of olive oil, it is sublime. 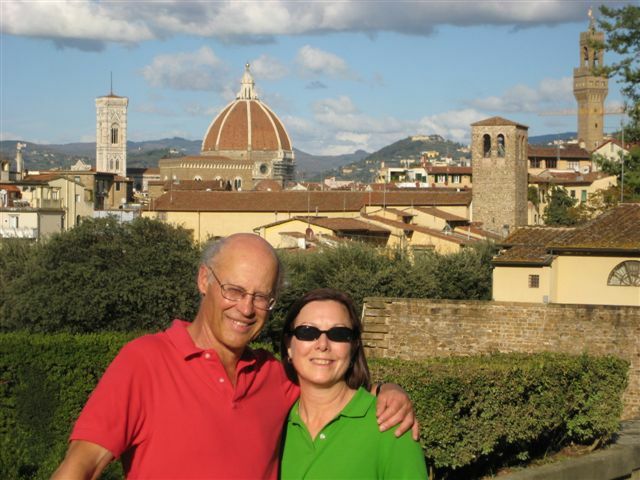 John’s recipe is very different; the beauty of his is that it can pretty much be made with pantry items. I used John’s method and cooked the mushrooms separately in butter and then added them to the sauce. I think next time I’ll simplify and cook the mushrooms with the onions, and omit the butter. I had some fresh parsley and used it, but I have made it many times without the parsley and it’s still good. 2. Put a large pot of water on to boil for the spaghetti. 3. When the onions are just about ready, add the garlic and cook it with the onions for a minute or two. 4. 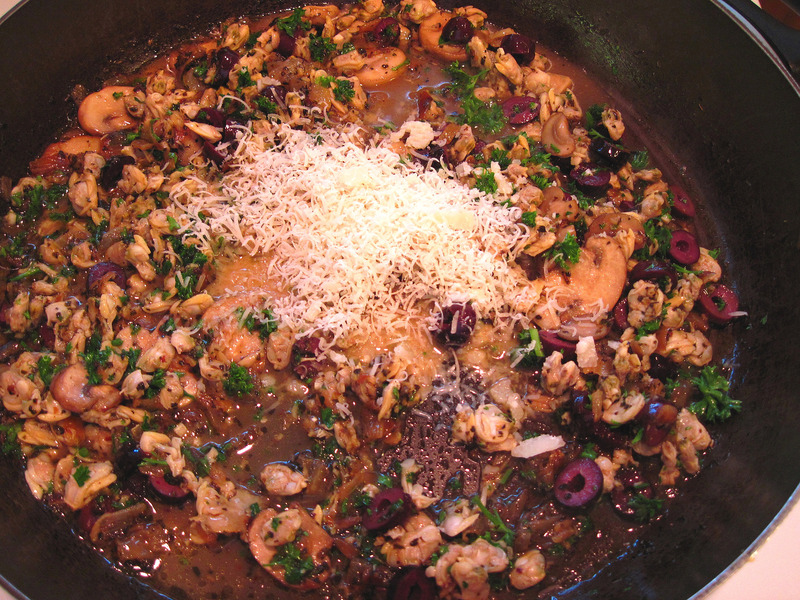 Add the basil, oregano, white wine, and the liquid from the clams to the skillet. Cook, stirring occasionally until the sauce cooks down a bit. Add salt and pepper to taste. 5. 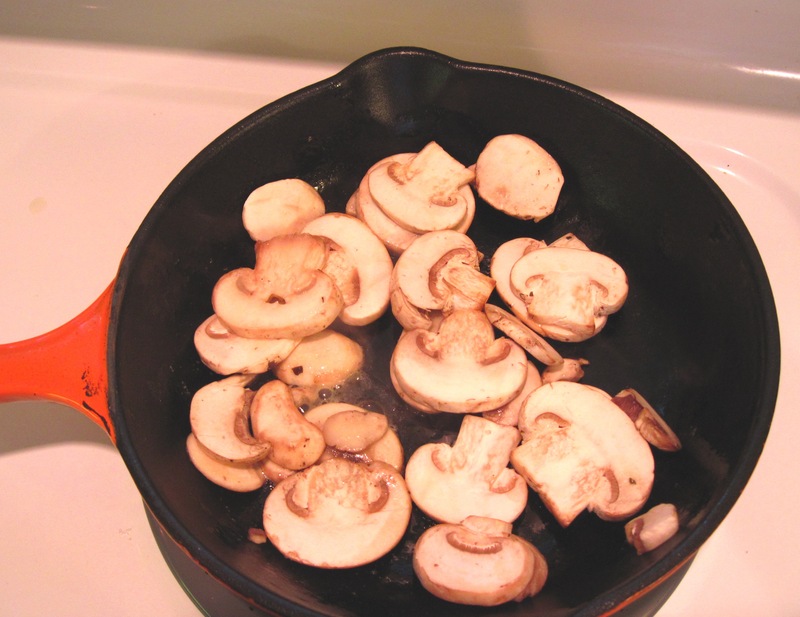 If you’re cooking the mushrooms separately, cook them in the butter in a separate pan while the sauce is cooking down. When done, add them to the sauce. 6. Add a tablespoon of salt to the boiling pasta water. Cook the spaghetti according to package directions. 7. 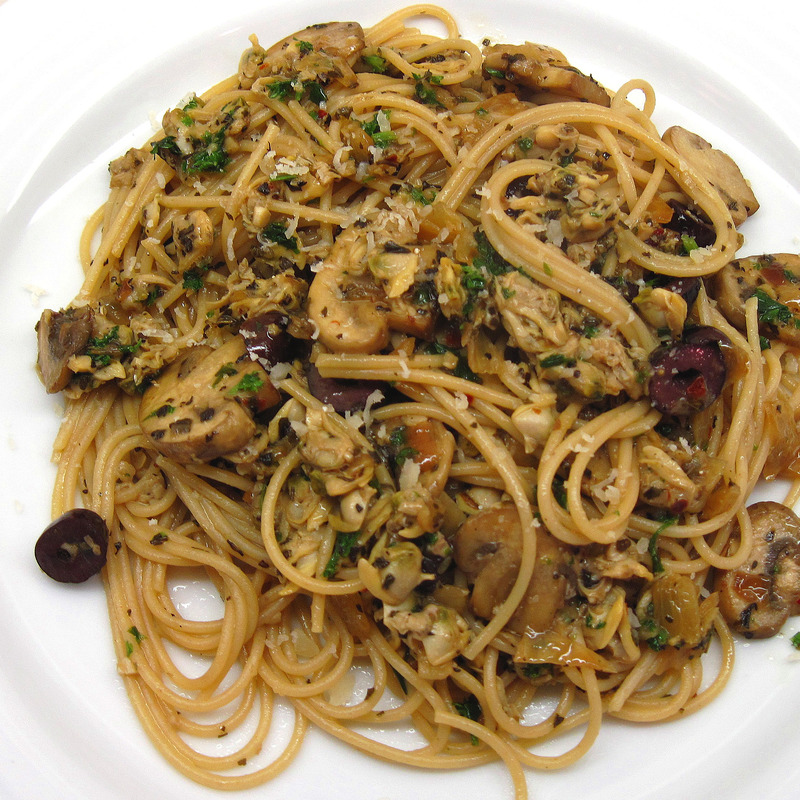 While the spaghetti is cooking, add the clams, olives, cheese and parsley to the sauce. 8. Drain the pasta, and add it to the sauce. Stir well and serve with additional cheese.